As of March 7, 2019- Taste Test, a restaurant incubator in downtown York, is wrapping up the project at their current location. After being awarded the YorIt Social Venture Challenge grant in 2016, Taste Test moved from doing sporadic events at YorKitchen in Central Market to their own brick and mortar on the corner of King and Duke Streets in the Royal Square District. 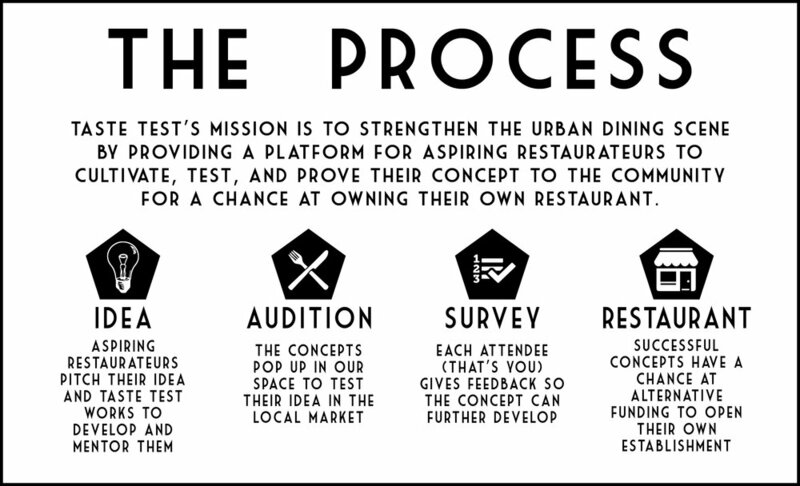 Since then, over 25 different restaurant concepts have been tested in the space. In 2018, several brick & mortar locations opened by chefs that had gone through the program, including Hamir’s Indian Fusion and Cornbread West. Today, the group announced that they would be wrapping up their efforts in York and potentially moving on to another town that could use a similar revitalization tool. “We’re proud of the work that we’ve done here,” said Toni Calderone, President of Taste Test and owner of O.N.E. 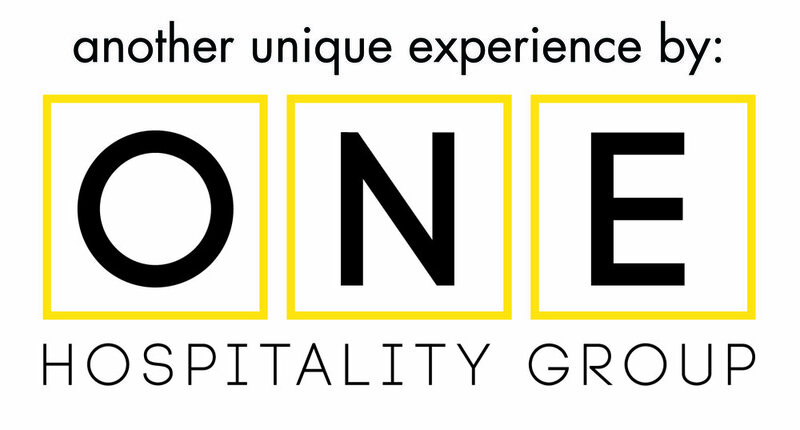 Hospitality Group. “We’ve seen 25 aspiring restaurateurs learn and grow. We saw them work with the community to gather feedback, and then transform their ideas and in turn strengthen themselves. We’ve seen some great success stories and some failures, but all have come out on the other end with a better understanding of the hospitality industry and whether or not it is for them,” said Calderone. In late 2018, the group started to see a decline in new ideas coming to the table. That was when they realized it might be time to take the project to another town that is undergoing a similar revitalization to York. “We haven’t made any final decisions yet but we’re looking at other towns in PA that are similar to York as well as up and coming small neighborhoods of larger cities in the US,” said Calderone. In 2017, Paco’s first popped up in Taste Test’s pop up space and then moved into the more permanent side of the incubator at 105 S. Duke St. in 2018. Paco’s features dishes inspired by Mexican flavors, using local ingredients, with the determination to change the perception of Mexican food in America. Paco’s plans to take some time off to work on their concept and explore new projects. “Paco's used Taste Test as the tool that it was intended to be- a way to develop and tweak their concept based on feedback from the local market. Follow them for exciting announcements about their future,” said Taste Test co-owner Allison Witherow. O.N.E. Hospitality, the umbrella restaurant group for Tutoni’s, Taste Test, and more plans to stay in the double sided space in the Royal Square District. They announced today that they plan to expand their crowd-favorite bar, “The Cantina” indoors with a full food & drink menu and year round offerings at the 105 S. Duke location. The Cantina opened in 2017 and features a casual, relaxing green space in the heart of Royal Square. In 2018, the bar added a full live music lineup from May-October which it will continue this year. The group plans to build on this concept that has already created a cult following of sorts. The Cantina in its new form will be open by May, with Opening Weekend and Cinco de Mayo celebrations May 3-5. “We are so happy to have had the opportunity in such a great neighborhood, and now that we are here, we are planning on bringing family oriented concepts with an approachable menu and price point. The city is missing that niche, and The Cantina filled it, so we are doing what feels natural, and building upon that brand,” said Calderone. The group has not yet announced their plans for the corner space at 101 S. Duke St. (formerly the pop up space for Taste Test), but it will follow the same formula of casual, approachable, and affordable. “The district houses such creativity already, and we are excited to bring that in the form of restaurants,” said Calderone. The Cantina is available for you to enjoy food from the current concepts outdoors, as well as order drinks from our bartender that is stationed outside. Stop by our place in the Royal Square District, eat the concept in our Audition Space, go next door to the Restaurant & Bar and enjoy our house cocktails with food from the long term pop up, walk out into our Cantina and enjoy the courtyard oasis, and make sure you give us your feedback & suggestions! Your feedback is vital to the aspiring restauranteur's ultimate success. Taste Test is an experience, come and have yours today! While you're at Taste Test, maybe you realize that you have your own idea! We're always looking for interested candidates who have ideas for new restaurant concepts in Downtown York. Locals who want to see their ideas come to fruition can come pitch their ideas when we have casting calls. Ideas that are chosen will have a chance to audition their concepts for a month in our audition space where the community can come and taste the food. If that bodes well, then they move next door for a long term pop up with more time to figure out their brand and what they ultimately want in their own restaurant. There are many benefits of Taste Test in our community, now there's just one more thing left to do. Help us provide this great opportunity to the next round of aspiring chefs. Be a part of our community's revitalization and be able to say that you helped get it there. We are three partners that bring our areas of experience to the mentoring process. ROBERT FAUCETTE- Director of Operations- Robert boasts over 13 years of experience in the restaurant industry. Originally trained as a pastry chef, Robert has worked every facet of the biz from chef to general manager in places like the historic Yorktowne Hotel and the Roburrito's chain of restaurants. Robert mentors the auditioning chefs on kitchen logistics and flow of service. ALLISON WITHEROW- Creative Director- Allison is deeply rooted in her community having owned The Susquehanna Photographic, a photography business, for 8 years and creating several community initiatives during that time. After a brief stint in real estate development, Allison finally landed on marketing in the hospitality industry. She is now the Chief Marketing Officer at O.N.E. Hospitality. She markets the Taste Test project, as well as helps each chef develop their restaurant concept's brand and identity. TONI CALDERONE- President- Through her humble beginnings at McDonald's while growing up in Florida, Toni has always found a home in the hospitality industry. And it's in her blood too- her grandfather is responsible for bringing the first pizza shop to York, PA. Toni solidified her place in the industry when she opened Tutoni's, a farm to table Italian restaurant in York, PA. Since then, she has created O.N.E. Hospitality which manages Tutoni's, Taste Test, and several other food and beverage concepts. She mentors participants on guest experience and service. Most excitingly, this project is part of a collaboration of a few key community organizations. We've received a grant from YorIt, and we've developed a partnership with the York College Department of Hospitality. Their students are instrumental in developing the concepts & business plans and executing them alongside professionals in the industry to gain real world experience & market research.